Clare Furniss | BOOKS AND CHOCOLATE – WHAT’S NOT TO LIKE? IT’S THE UKYA EGG HUNT! BOOKS AND CHOCOLATE – WHAT’S NOT TO LIKE? IT’S THE UKYA EGG HUNT! 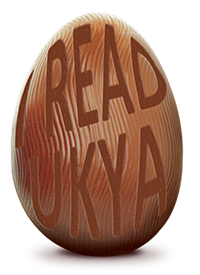 Welcome to the UKYA Easter Egg Hunt! One very lucky winner will win a huge grand prize of signed books by over thirty YA authors who write and live in the UK. 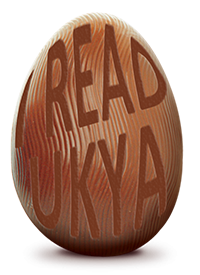 All you have to do is read this blog, count up how many UKYA branded Easter eggs you see in the blog, and follow the link at the end to the next blog. Keep going until you get back to the blog where you started, and add up how many eggs you’ve seen along the way. Email your answer to: UKYA2015egghunt@gmail.com. A winner will be chosen at random from all correct entries, and contacted by email. This closes at noon (UK time) on Sunday, 5th April, and is open internationally. If this is your first time visiting my website, WELCOME! So get finding those eggs! And some awesome UKYA authors and books along the way. The next stop on the Egg Hunt is http://kerendavid.com/ukya-egg-hunt/ – if you haven’t read any of Keren’s books yet you’re in for a treat.